A pairwork activity for students to practise quantifiers while they speak. The above downloadable teaching material is meant for adults at Upper-intermediate (B2) level. It is valuable for practising Quantifiers (e.g. 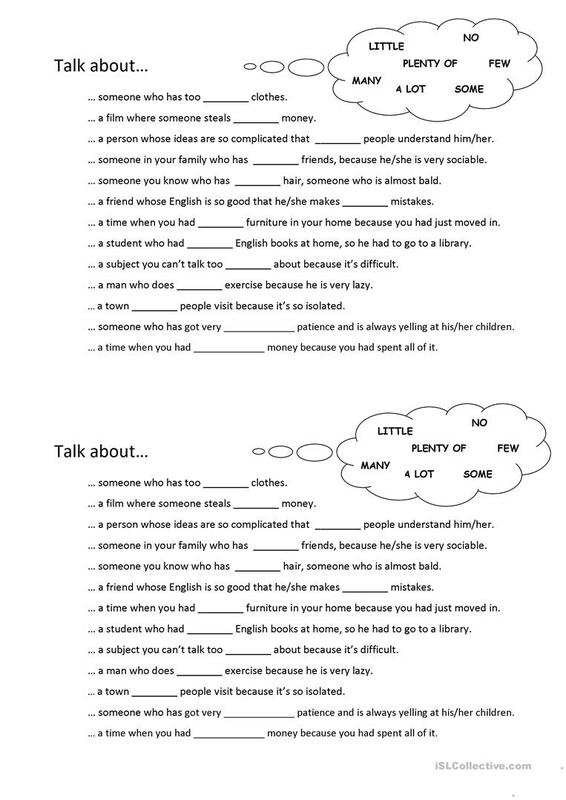 some, many, much, any, few, little) in English, and is a valuable material for enhancing your students' Speaking skills. ParaCris is from/lives in Spain and has been a member of iSLCollective since 2012-03-28 19:57:55. ParaCris last logged in on 2018-11-28 20:27:06, and has shared 2 resources on iSLCollective so far.